- How well do you perform under pressure? - Can you recognize and avoid the mental traps that diminish your performance? - Are you aware of the effects self-doubt and negativity can have on success? - Do you have the skills to deal with fear, anxiety and nerves? - Can you recover quickly from mistakes? - Do you understand what " choking" is and how do avoid it? - Do you have the long-term mind set necessary for success? 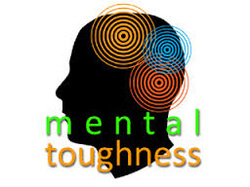 Mental Toughness training provides you with the skills to be at your best when it matters most. Whether you are a business or sales professional, a leader of a public or private organization, an athlete or coach or a performing artist, performing under pressure is crucial for success. Mental toughness training can provide you with the tools to take you to the next level . Our training sessions are based on the latest research from neuroscience, leadership studies and sport psychology. This training can be private one- to- one sessions, group or team sessions and can be offered in face to face or videoconference format. For more information on costs and format and for a free introductory session please contact us here. hether you are a business or sales professional, a leader of a public or private sector organization, a performing artist or an athlete or coach, performing under pressure is crucial for success.